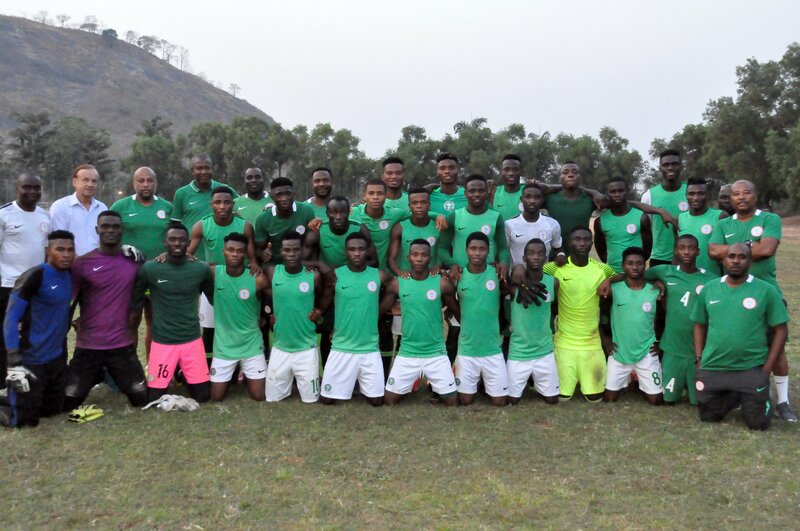 Nigeria’s Flying Eagles will begin their quest for a record eighth African title and a place at the World Cup in Poland when they face Burundi in their opening game at the 2019 U-20 Africa Cup of Nations (U-20 AFCON) in Niger on Saturday,. The Flying Eagles will also face South Africa on Tuesday, February 5 and the hosts Niger Republic on Friday, February 8.The Group A encounter is billed for the Stade Seyni Kountche, Niamey. after a 5-5 tie on aggregate. The former Enyimba and Warri Wolves coach has stated that his team’s first priority is to secure the World Cup ticket. “We must first plan on earning a ticket to the World Cup finals,” Aigbogun stated before the team’s departure for Niamey on Thursday. The 2019 U-20 AFCON Group B is made up of Senegal, Mali, Burkina Faso and Ghana. The top two teams from each group will advance into the semi-finals of the competition and also secure qualification for the FIFA U-20 World Cup, which will be held in Poland in May and June.